Chipotle's Nationwide Safety Trainings: An 'Air Ball'? Chipotle founder and co-CEO Steve Ellis asserted in January that the company's nationwide, all-hands, employee meeting this past Monday to regain the public’s trust would be “a very public type of meeting.” The result was something far short of his proclamation. Rather than enable -- dare I say invite – serious journalists and credible bloggers to cover the event, the few writers who found a way to gain access to one of the meetings shared predictable, if not underwhelming, steps the chain of burrito restaurants is deploying to win back investor confidence and the public’s trust. The ‘bar’ the company needed to clear was lowered when the Centers for Disease Control and Prevention (CDC) on Feb. 1 said it concluded its investigation of E. coli, salmonella and norovirus outbreaks which closed 53 stores and sickened, according to Food Safety News, more than 600 customers in at least nine states during the last half of 2015. The CDC said the cause of the outbreaks, which drove Chipotle's sales down 30 percent in December and 36 percent in January, was a “common meal item or ingredient.” The norovirus outbreaks were attributed to sick employees coming to work. For most customers and investors, the basic facts of the outbreaks may be all they need to jump back on the Chipotle gravy train. As for a restaurant chain priding itself on its safe and sustainable food practices “with integrity,” the company is not likely to earn high grades for transparency, especially as it continues to boast about it. Even with the recent, relatively positive, turn-of-events, the Denver-based company still faces a heightening criminal probe and possible investor lawsuits over how it handled the outbreaks. 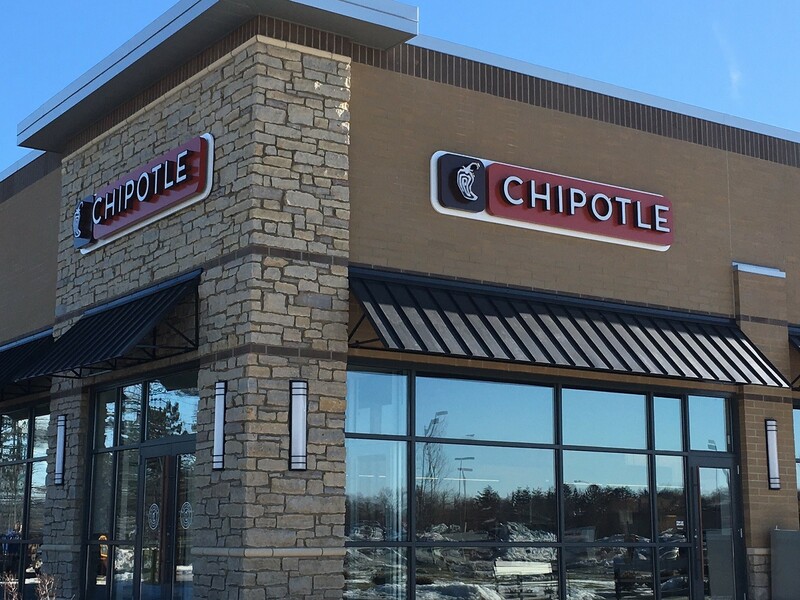 As if that isn't enough, this week a judge ruled in favor of three female Chipotle employees from the Cincinnati area who sued the company for gender discrimination. Then, there is still the possibility, however remote, of proof surfacing of rumored terrorist-like actions against the affected restaurants. Natural News, a popular website, this week reminded its readers that the ongoing probe leaves many unanswered questions. Might the company’s foes in the biotech industry be responsible for, or did they contribute to, the outbreaks? It’s still anybody’s guess. When asked how a TriplePundit writer could listen or watch the meeting, which was to be beamed via satellite to theaters and other locations around the country, spokesman Chris Arnold said in an email that one reporter from the Associated Press would be permitted to attend a meeting at a location he did not disclose. The company closed all of its stores Monday through 3 p.m. local time. Farms and central kitchens that raise and prepare ingredients are to deploy "high resolution testing." The company neglected to explain exactly how this works except to say it "involves taking a large number of samples from a relatively small amount of the ingredient." In January, the company told investors that a "kill step" to catch any pathogens that might have slipped through the revamped sourcing procedures via farms, ranches and other suppliers would also be deployed. But no details on that have been made available. Some ingredients will now be prepared in central kitchens. The senior manager on duty during each shift is designated “food safety owner,” responsible for making sure all procedures are followed. Stay home if they’re sick at least until five days after symptoms have ceased. Associated press reported that Chipotle grants employees three days of paid sick leave annually. Wash their hands at least at the top of each hour for at least 20 seconds and sanitize hands before putting on gloves to mix meats. Make all restrooms “super clean." Marinate steak and chicken after 8 p.m. once all other ingredients have been prepped and put away. Blanch lemons, onions, avocados and other produce to be chopped in the restaurants for five seconds to kill any germs. The presentation included several videos outlining how, for example, employees should clean kitchen surfaces. Executives also announced the company is launching a $10 million “local grower initiative” to help small suppliers meet its updated food safety standards. One employee told Fast Company that it isn’t clear how the money is to be dispersed. Ells acknowledged on the company's web site that "it may not be possible for anyone to completely eliminate all risk with regard to food (or from any environment where people congregate), but we are confident that we can achieve near zero risk." How all of this affects Chipotle over the long haul remains to be seen. Many questions remain: Given the numerous suppliers and ingredients, not to mention its growing number of stores, why did it not it deploy these procedures a long time ago? Part of its plan to regain the public's trust is a reported $50 million marketing campaign scheduled to launch next week. According to Food Safety News, it will not make any mention of its food safety challenges. While there is no shortage of opinions on how the company has conducted itself, a few lessons are emerging for the food industry and public health officials. Jordan Pearson, a writer for Motherboard, an online magazine and video channel dedicated to the “intersection of technology, science and humans,” said a company presentation truly accessible by the public could have been a slam dunk. Rather it was “an air ball." "Unfortunately, Chipotle’s bold plan to make its recovery public to all its customers was about as selectively transparent as its food sourcing procedures,” Pearson wrote.